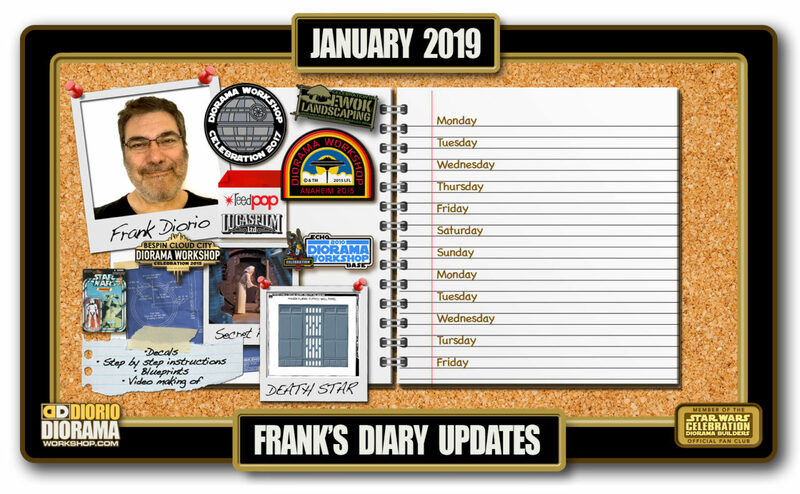 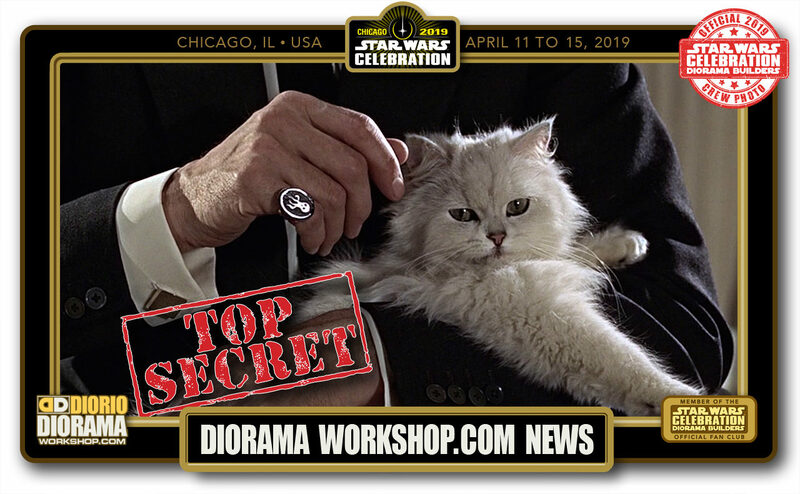 After Lucasfilm gives the OK for the theme we want to do at this years convention (or any for that matter) I spend couple months designing and building all the prototypes that you will be creating at the show. I will show you the construction of those in a separate page, for today, I present the catalog shots I created of the prototypes to show the fans at the show just what builds they had to chose from at the show. 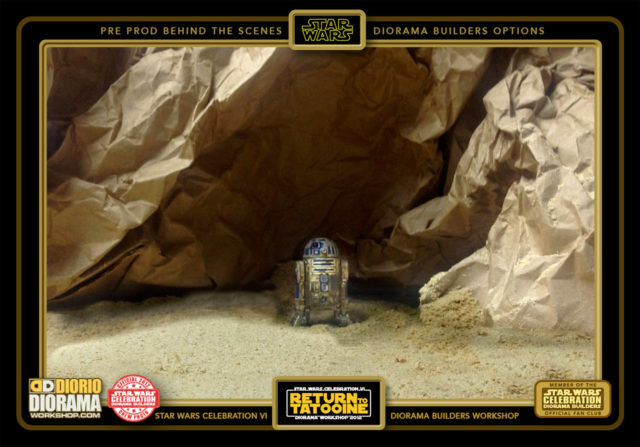 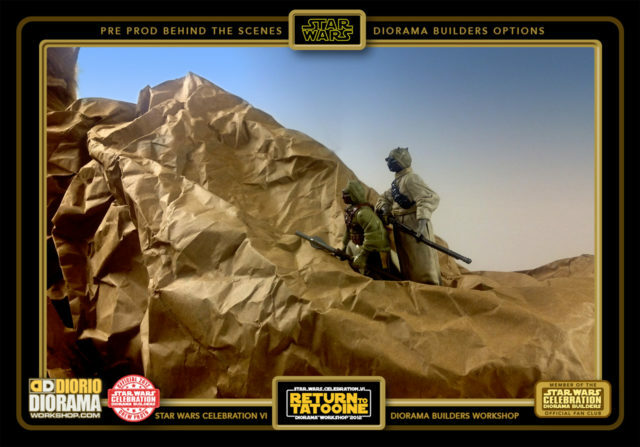 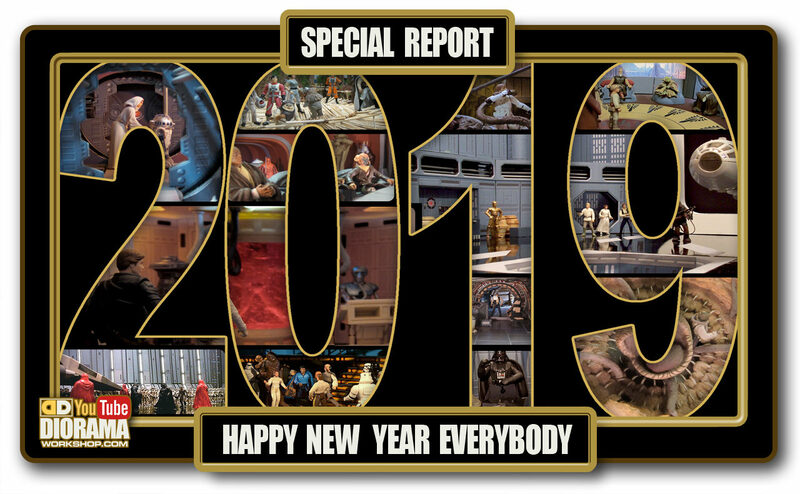 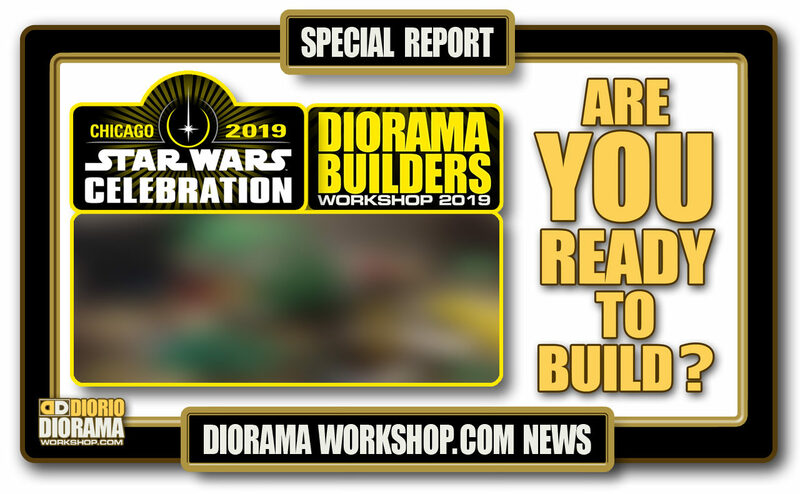 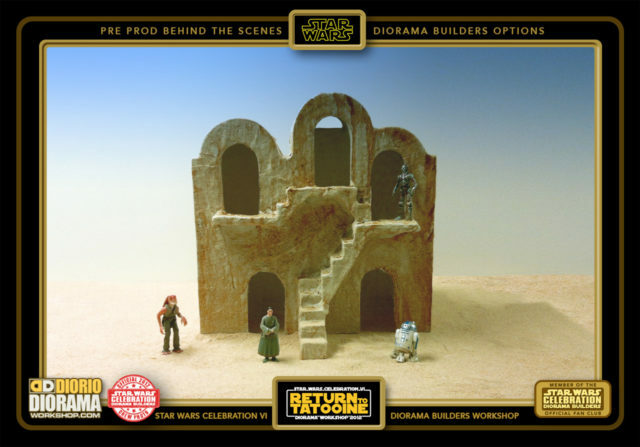 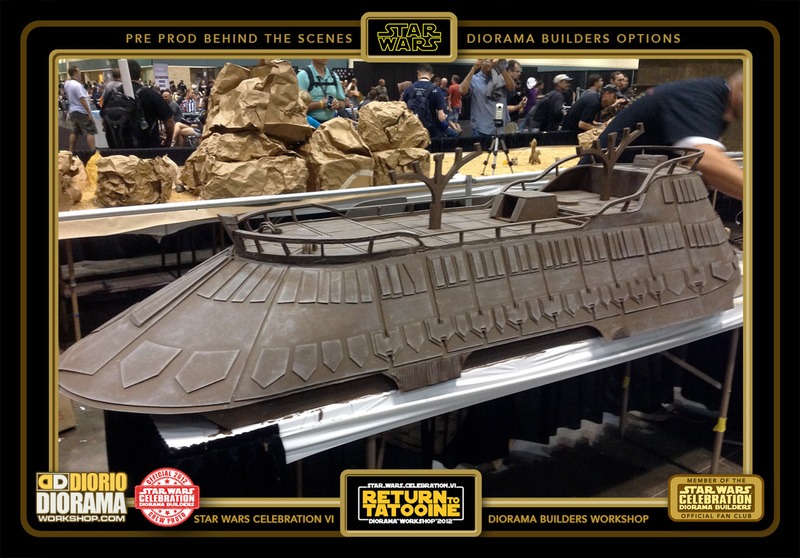 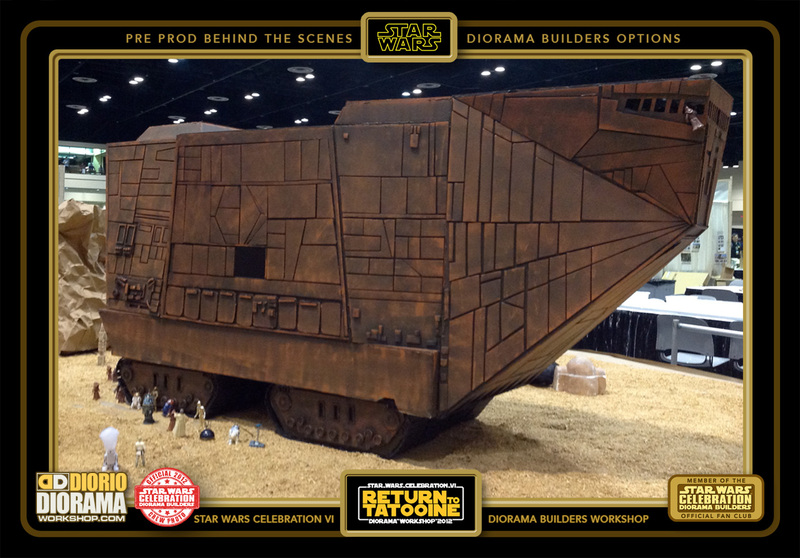 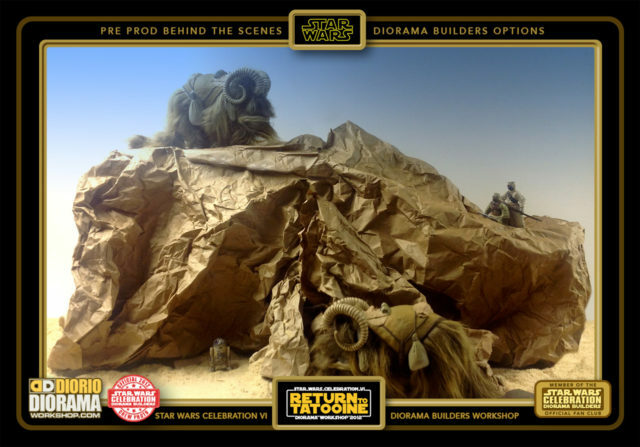 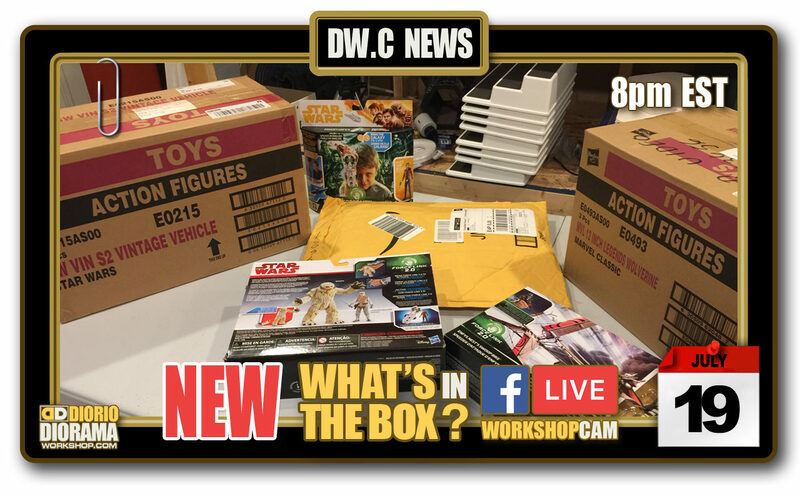 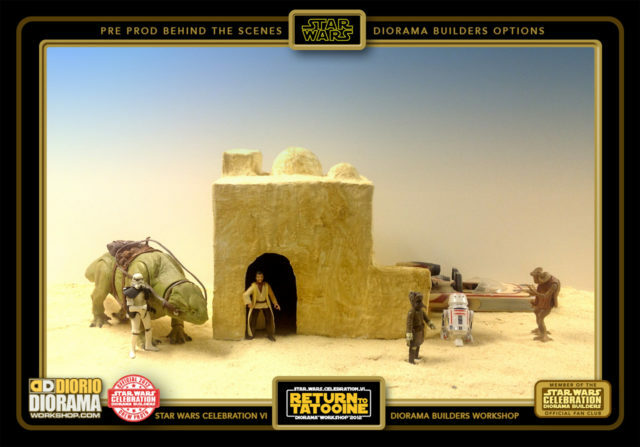 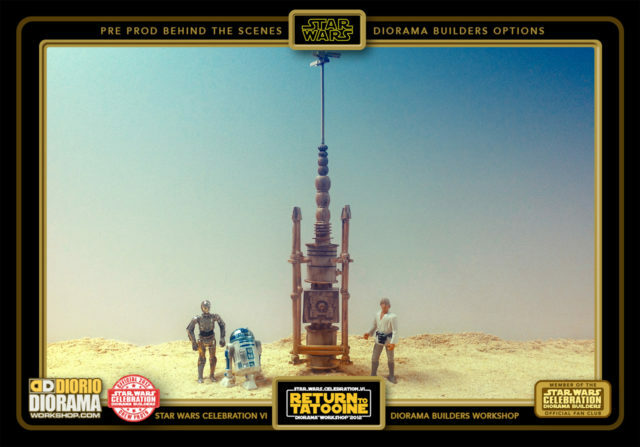 These were shown at the entrance of the workshop booth and allow passers by to actually see what the finished constructions will look like 4 days from the start of the Star Wars Celebration Diorama Builders workshop. 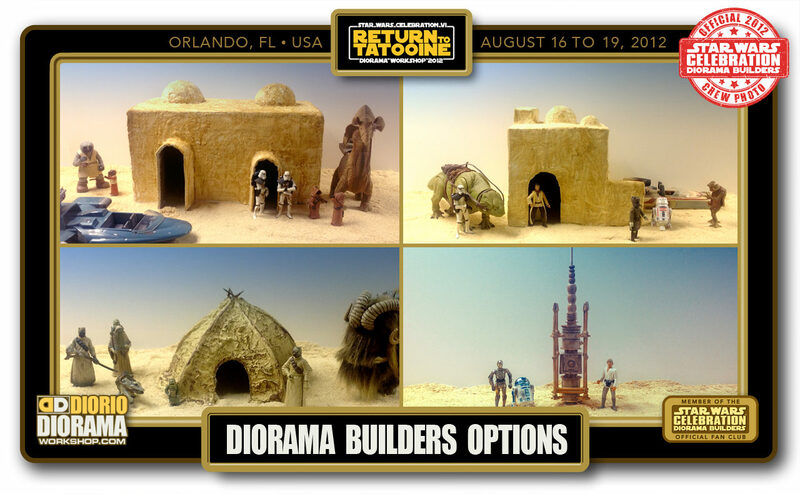 Which one would you have selected ? 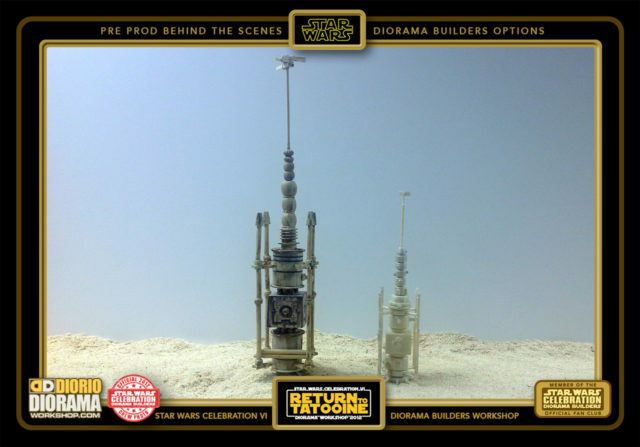 BUILDERS CHOICE #3 : MOISTURE VAPORATOR from STAR WARS : EPISODE I-II-III-IV-VI. 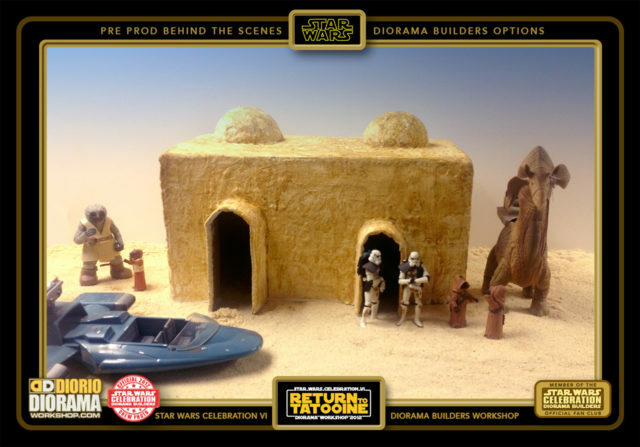 We all know what a desolate and HOT planet Tatooine is, and if you don’t want everyone do die of thirst you may choose to build a MOISTURE VAPORATOR to help them out 🙂 This choice, the MOISTURE VAPORATOR, is the PERFECT build if you don’t want to get messy with PLASTER, it’s basically like a model kit, straws, beads, decals, and a little paint, and you are ready to place it on the sandy tables and start bringing Tatooine to life. 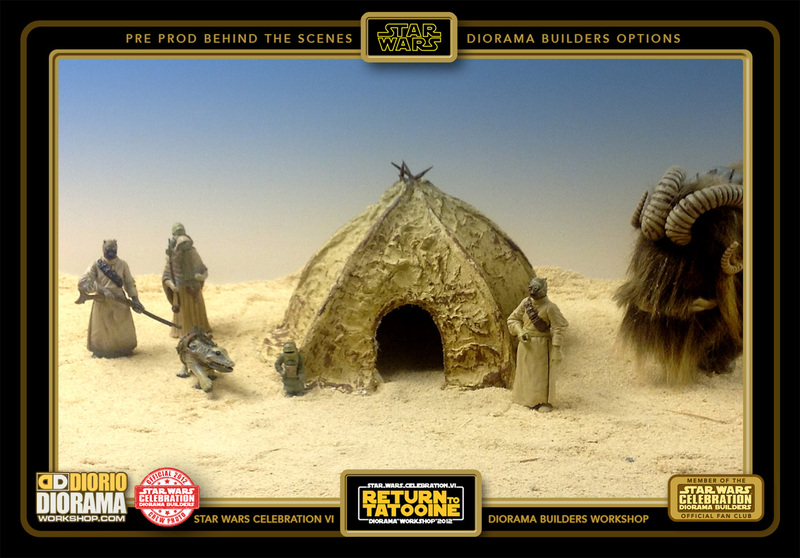 It’s as simple as that yet looks VERY COOL.